No one can describe the Sandals experience better than our guests. Below are real, unedited testimonials submitted by guests after returning from their Sandals vacations. We had an amazing experience. Everything about our vacation was meant to pamper us. I love coming to sandals negril. Every year service and people are outstanding. 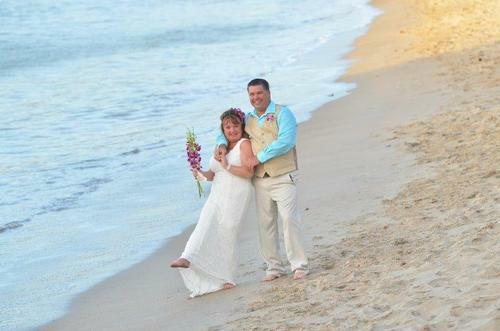 St. Lucia was such a beautiful place to be married, the staff and wedding team was wonderful, we can't thank Shandulla, Dilan, Gibson, Tayo and Nurcia for helping with our beach wedding and especially Lana whom took the most beautiful pictures that we could ask for. St. Lucia will be part of our hearts and we can't wait to come back in for our second anniversary. The kindest, happiest people I have ever encountered. We ate at 7 of the 9 restaurants and all were delicious!. The rooms, the resort, the beaches are all immaculately clean. Plenty of loungers and shades on the beach as well as the pool. This was the best vacation my husband and I have ever had. We are now looking forward to booking our next vacation with Sandals. Our honeymoon at Sandals Grenada was nothing short of magical. We enjoyed 10 blissful days with our Sandals family, and even booked a second trip back while we were there, that we have very much looked forward to! Our butlers, Renel and Hassan, were the image of service and attentiveness. They catered to our needs, and ensured our stay was absolutely exquisite. 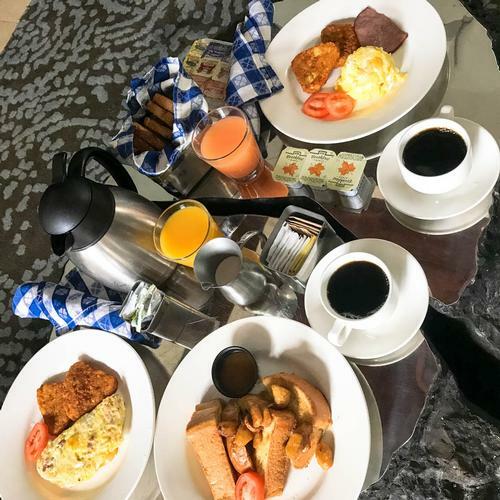 My favorite parts about our honeymoon was the inclusive dining and top-shelf liquors; the butler service; and enjoying the pristine grounds of the Grenada resort. 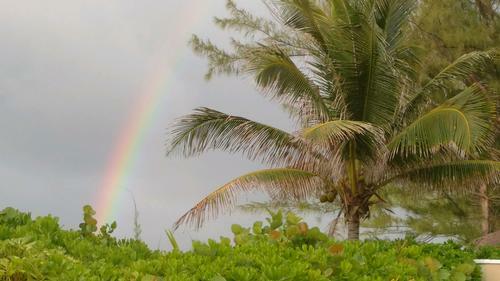 The beach was delightful, and we really enjoyed the excursions that our butlers had prepared for us. We also loved cheers-ing deep into the night at the English pup, with our attentive bartender Ricky. He was so wonderful and deserves ample praise. Every detail was absolutely perfect, and we so enjoyed being able to share our experience with our audience on social media and Youtube (our videos from that trip are amongst the highest viewed!) and we cannot wait to do it again when we visit Sandals Royal Barbados in June 2018. No one can describe the Sandals experience better than our guests. Please describe your Sandals experience. Thank you for helping... it is by listening to you that we make it better for everyone. What kind of Vacation was it? We appreciate that you took the time to let us know your thoughts! Your feedback is important not only to us, but also to other guests and prospects who are considering a trip to Sandals Resorts. Thank you again for your comments. We truly value your business and look forward to seeing you again in the future. At Sandals, love is all you need, because everything else is included. Revel in some of the world's most breathtakingly romantic beachfront settings at Sandals resorts. A Beaches Luxury Included® Holiday includes more of everything for everyone, from every land and water sport under the sun, to anytime gourmet dining and luxurious family-friendly suites. "In doing what we ought, we deserve no praise," so states a Latin proverb. We are truly humbled by the plethora of praise we have received from such varied and prestigious sources, from all over the world, but feel compelled to say that we feel we are only doing what should be done for our guests – the very best! Be assured that all this praise will only serve to make all of us at Sandals strive harder to find more and better ways to give our guests the very best vacation experience on the planet. 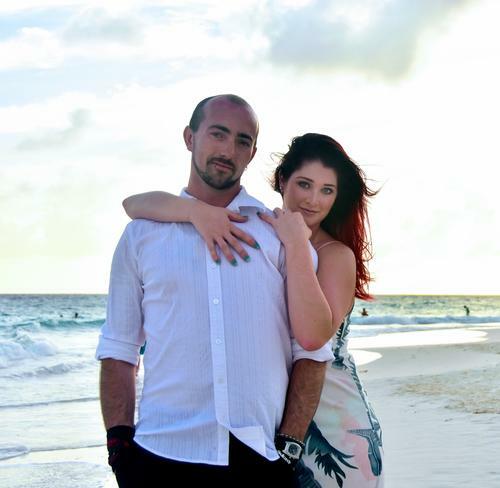 Sandals romance–oriented couples-only resorts have been kindling fireworks in grand style for quater century. 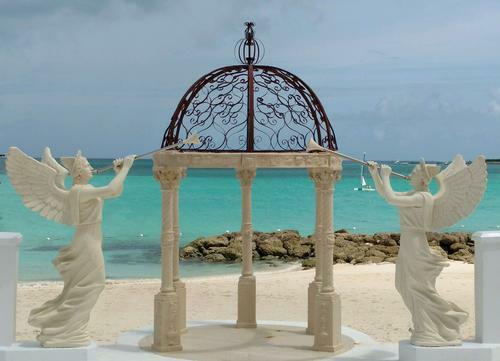 Today they remain state–of–the–art: so many new and spectacular features have been added to the Sandals line-up that its resorts are as fresh and appealing as ever. If you like sunsets, walks on the beach and cuddling on a hammock, then choose a romantic island getaway at Sandals..."
Re: Sandals Ochi "This resort's setting between tropical hillside gardens and the turquoise waters af the Caribbean make it the perfect beachside getaway for couples." "Situated on Ocho Rios' longest stretch of sugar-white sand, the adults-only resort boasts a Zen-like atmosphere..."
Sandals Resorts is tuning its top-level suites into world-class hideaways." 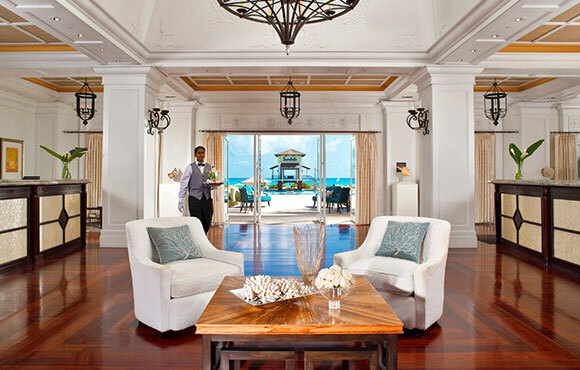 "One of the most luxurious resort chains in the caribbean." "Offering a truly first class experience." "Sandals has made sure couples really can have it all...Wide windows take full advantage of the setting sun: the surrounding sea sparkles by daylight, then melts away with the sunset each evening. All this, plus an excellent selection of fresh seafood. "Stay at Sandals Negril, where the newest digs are River Suites with swim-up patios leading into a flowing lagoon." "Take a pristine Jamaican beach. Stir in one top party planner. Blend with sunshine for a wedding to remember." Not only is Sandals [Whitehouse] alone on a beautiful two-mile stretch of beach, it's the sole major resort on the entire South Coast...and its sleepy southwest wetting is just right for a nostalgia trip." "I can personally attest to the thoughfulness of the butler service. At breakfast, my butler heard me coughing. Five minutes later, as I was boarding a van to leave the resort for the day, she appeared at the van's door with a cup of honey and lime juice, saying 'this is a Jamaican remedy for coughs and sore throats." 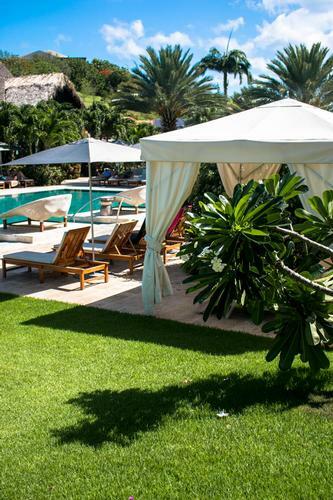 "Couples love the honeymoon Garden Rondoval suites at this all-inclusive resort...[because] with a personal butler on hand to cater to your every whim, there's no reason to even to leave. "Couples have a sense of complete seclusion [in the rondoval suites], allowing you to relax and rejuvenate in utter privacy." "Luxury, thy same is Sandals." 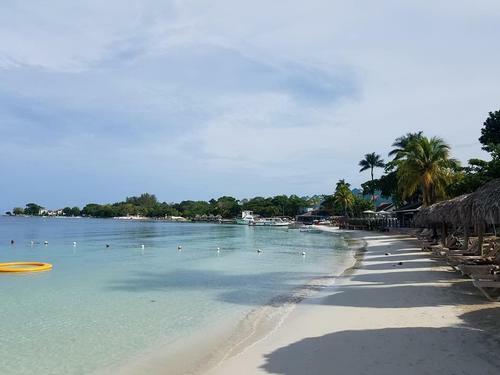 "With seven Sandals Resort locations on the island [of Jamaica], it is an excellent place to treat yourself like a queen and allow others to celebrate your glory." "The newly decorated penthouse suites at Sandals Grande Antigua's Mediterranean Village have a posh touch: butler trained by the Guild of Professional English Butlers." 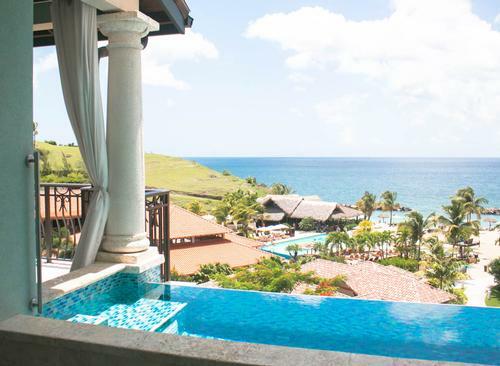 "Built in the style of a British palace, with majestic stone archways leading through a three-story open-air lobby, this resort [Sandals Grande St.Lucian] is framed by spectacular, mountain views and edged by the island's most dramatic beach. Indulge in aquatic recreation from scuba diving to swimming in a choice of four impressive pools that include a creative lagoon pool designed to enable guests to swim right up to their rooms." "The Mediterranean Village is an elegant retreat." "Jamaica has miles of beaches, amazing sunsets and plenty of culture. And there's no better place to enjoy all that diversity than the 360-room Sandals South Coast European Village and Spa, an all-inclusive, couples-only resort on the island's southern coast...and just try to stay away from the patisserie, filled with delectable European treats." Re: Mediterranean Village "Everything about this new property exudes an air of luxury." "The interior of the Red Lane Spa uses imported marbles, mahogany and original art to create an atmosphere that feels like you've stepped completely out of the resort and onto another plane of relaxation and serenity." 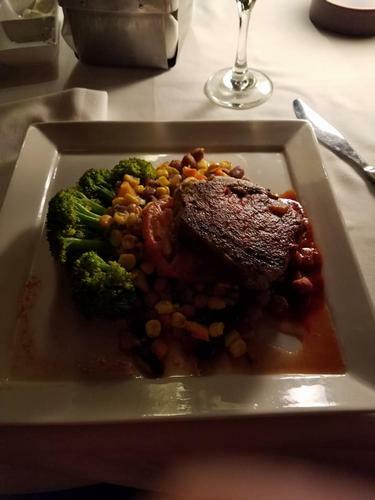 At Emerald Bay, great food was the norm, so if you're going to go there plan accordingly: eat all day long and worry about the weight gain later." "Vacationers and honeymooners will be treated to the most enjoyable dream vacation ever." "A postcard-like staff that the word 'nice' isn't good enough to describe, qualify Sandals Montego Bay as the top fantasy vacation spot." "The inclusion of authentic Jamaican cuisine is an integral part of the Sandals experience...Fruits and vegetables at dining facilities are incredibly fresh, with the deepest colors and richest flavors possible. "The Red Lane Spa offers everything from facials to body wraps, but take this reporter's word for it; nothing beats a couples massage, especially when it's held on the pier at sunset." 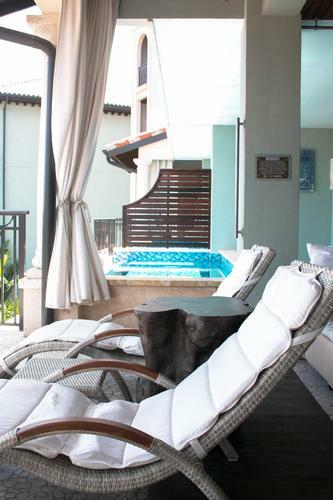 Sandals South Coast promoted an atmosphere of R & R; romance and relaxation...cross the threshold of the resort's main house and the pampering begins." "This romantic getaway [Sandals Grande Antigua], very popular with honeymooners, commands the longest and best stretch of soft white sand on an island that's famous for 365 beaches." Re: Top seven butler services of the world "In the Sandals Resorts of the Caribbean, the butlers manage private in-suite check-ins, pack and unpack clothing, prepare scented bubble baths and even orchestrate gourmet dining on your suite's private terrace"
"Sandals Resorts took a big leap into the lap of luxury with its introduction of Sandals Butlers (trained by the Guild of Professional English Butlers)"
"Re: the 24 reasons to honeymoons in Jamaica. "A scented bubble bath drawn by your very own British-trained butler at Sandals Negril Beaches Resort & Spa." "Eating light, helthy fare is easier than expected, owing to whitehouse's seemingly health-concious, more discerning clientele, many of whom opt for upgraded butler-service rooms and top floor suites." 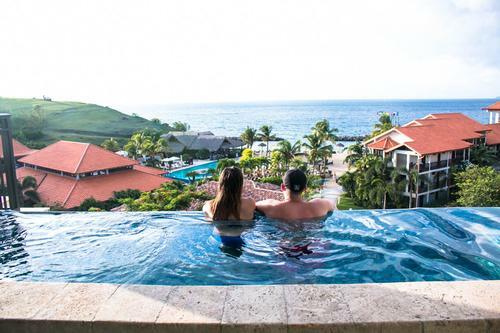 "What sets the new Sandals South Coast resort apart from the rest of the couples-only, all inclusive Caribbean mega resorts is the feeling that you are removed from the rest of the world. Finding solace and rekindling romance on this 50-acre property with two miles of pristine beach is easy...just hide in one of the hammocks on the beach or visit a couples-only suite in the resort's full-service European spa." "What they're known for: elevating exotic destination weddings to a whole new, user-friendly level"
The latest hoity-toity service for those staying in top suites: a certified butler who leaves no chore untouched by his or her white gloves - be it packing/unpacking, bath drawing or orchestration of romantic in-suite meals...the service may even help create vacation harmony." "On a 500-acre nature reserve...[the] wonderfully 'incredible' Sandals South Coast European Village and Spa is considered in today's travel industry to be the most impressive resort ever to be built on the island of Jamaica." For lovebirds looking for a true luxury experience at a great value, this couples-only property has it all, including 11 dining options and two top-rated spas, all set amid lush jasmine-scented gardens and overlooking a stretch of beach on Jamaican's northwest coast." "Sandals is taking the (all-inclusive) concept to the new heights with this latest service [butler service]." "The butlers will clean your golf shoes, unpack your luggage and even go hunting off-property for fresh lobster if it's not on the menu that night." 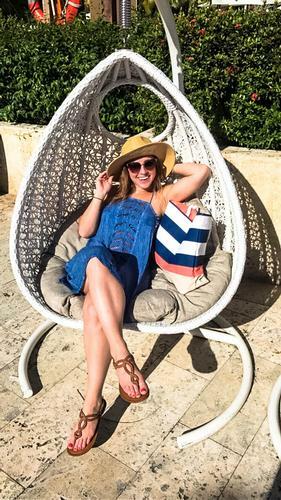 "When the travel agent told me about Sandals, the hotel hadn't even opened yet, but even though I'd never seen it- not even in photos- I knew it was the right place. 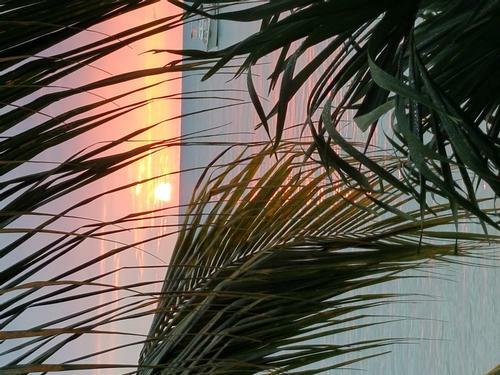 Jamaica's South Coast is so unspoiled, so pristine and wonderful." 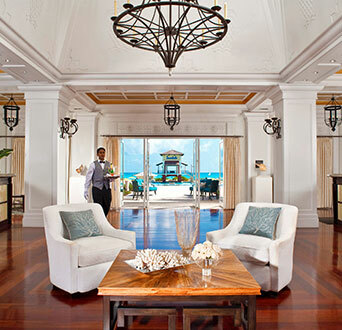 "Sandals Royal Bahamian takes spa pampering to its zenith in paradise." 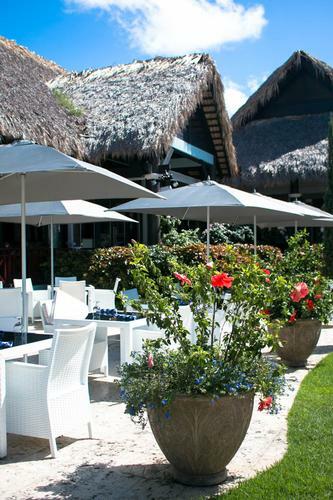 "Grapiest all-inclusive...Sandals Resorts...Even if you're not an oenophile, you'll appreciate that Sandals now presents four house wince, which can be paired with each course...Best of all, the top staffers completed training in Napa, so they know their Pinots from their Syrahs." "There's romance to be found at the Sandals Grande St.Lucian Sap & Beach Resort, thanks to a new room category...the Rondoval Suites [where] there's more than enough romantic relaxation to go around." "[The] luxurious Mediterranean Village...dazzling guests with the best of two brilliant worlds." "Sandals Royal Bahamian has long been popular for honeymoons and other romantic getaways...[for] guests who want to truly 'get away from it all'..."
"Both Rondoval Suite categories are expansive and luxurious and feature a large, flat-screen plasma television, while an enormous bathroom offers couples a Roman tub, separate showers and his and hers sinks. From the bathroom, couples can step out onto their private pool deck and enjoy an outdoor shower or dip in their own plunge pool." "Sandals constantly adds new amenities – from luxury spas to private pools to its properties – that allow travelers to have the finest at their fingertips." Re: Mediterranean Village at Sandals Grande Antigua "Greeted with champagne in the lobby and take to my room which is like a palatial suite with a balcony overlooking the entire village." "In the 'Reader's Choice Award', [Sandals] Whitehouse and Dunn's River hotels were among the Top 25 in the Caribbean." "...the [Sandals] Grande St.Lucian had the best amenities...we have recommended this resort and the island of St.Lucia to many people." Re: Mediterranean Village at Sandals Grande Antigua "Sandals resorts fit celebs perfectly." Great beaches, fabulous suites, stellar service, wonderful dining, and an exclusive plunge pool at the resort's Red Lane Spa – Sandals Grande Antigua Resort & Spa will make you rethink the way a vacation should be." "Red is the color of romance and Red Lane Spas have perfected the art of romantic couples massages – complete with candlelit rooms scented with aromatherapy oils."